I am always eager to read and review kids' books. Especially when those books have cute titles and covers. 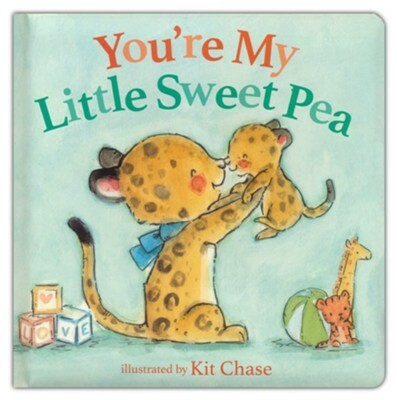 I was excited to read and review You're My Little Sweet Pea and I was drawn in by the look of this book. I like all of the pictures in this book. I like the cute little animals that are part of the book. This book seems appropriate for babies and toddlers, and preschool aged kids might like it, too. The "story" of this book is pretty sweet. It shares the love that a parent has for their child. I love the pictures in this book. I love the size and shape and feel of this book. There is just something about this book that doesn't work for me. It feels like a parent would have made it up on the fly for their child at night. It is not a carefully written book that all kids/parents are going to connect with and love. There isn't anything Christian in this book, even though it does come from ZonderKidz. Overall, I like this book but I don't love it. I give You're My Little Sweet Pea 4 out of 5 stars. I received this book free to review from BookLook. The opinions expressed in this review are my true thoughts and feeling regarding this book. I am disclosing this information in accordance with the Federal Trade Commission’s 16 CFR, Part 255. Hi, I'm Emily Acker. Most of the products/books reviewed on my blog have been given to me by companies in exchange for honest reviews. The opinions expressed on this blog are always my honest opinions.